The perfect choice for those who prefer the slim roof prism design. Still hunting sets extreme demands on you and your equipment. You must be able to react quickly and precisely to changing situations. The Nighthunter XP 10x44 has been developed for exactly this purpose. Its incomparable High-Definition XP Optics feature a dielectrically coated mirror, phase correction, to prevent interference effects is naturally, as well as fluoride glasses. The Nighthunter XP 10x44 offers up to 25% more surface of the exit pupil than comparable competitors' products. This excellent quality of the optics and their high light transmission properties ensure a very bright undistorted view. Absolute minimisation of stray light, pin sharpness, outstanding edge sharpness, superb colour rendition and excellent contrast characterise the view. Observation with this brilliant glass is sheer pleasure under all lighting conditions. Detail resolution is absolutely convincing, even under the worst lighting conditions. The Nano-Protection surface coating is resistant to abrasion, water drops simply roll away, so observation in rain or snow is no problem at all. This light glass has a shock and breakage resistant high-pressure housing in special magnesium alloy that ensure perfect operation under the toughest physical and extreme climatic conditions. Ergonomic softgrips offer a comfortable, cushioned grip for the thumbs while the design ensures a steady hold without fatigue. Narrow ribs on the rubber armouring stop the binocular from slipping off the NBR-Longlife rubber armouring that is odourless and exceptionally durable. Twist-up eyecups set new standards in comfort. They can be used in any height as they cannot be pressed in due to the contact resistance. The eyecups can be reversed to block incidental light. This also keeps stray light to an absolute minimum. With Fast-Close-Focus, a slight movement of the focussing wheel is enough to quickly and easily adjust the precise focus. Fast focussing allows time-saving adaptation to a wide range of different observation situations. Its 2-metre close focus range puts you in control of any situation. The easy handling of the Nighthunter XP 8x44 is facilitated by its open, extremely light and stable construction. That means you have a hand free to react quickly to unforeseen situations if required. The neoprene carrying strap, simple and quick to attach or remove, is attached with the ClicLoc system. The exceptional optical formula is our own development using the purest index matched glass, and coatings using rare-earth formulations of titanium, fluorite and other mineral substrates. The result is not only a first-class light transmission and a remarkable brightness- the images are crisply sharp and of the highest contrast right to the edge of the field of view. Contours are always clear and easily made out; incidental light is reduced to a minimum. Perfect, high resolution observing results are guaranteed, even under the worst weather conditions, in poor light or at the onset of dusk. The roof prism system contains a specially developed dielectric mirror with a vapour-deposited phase correction coating. This high-tech phase correction gives exact resolution of detail and true colours. It also reflects up to 99% of incoming light. In addition, the dielectric mirrors prevent aging of respectively extends the life of the coating. Aging also means that there is a loss of light transmission after some time. The perfectly adjusted distance of the exit pupil and the large diameter of the ocular lens provide you with relaxed and exact observing experiences. You gain an into-the-image feeling, but you also achieve the highest comfort, even when viewing with low light or peripheral interference. The large above-average objective diameter of 44 mm guarantees clear, detailed and brilliant observation. A small movement of the central focussing wheel with your finger is all thats needed to recognise details from close-up to infinity quickly and with absolute sharpness. The Fast-Close-Focus completely bypasses the need for clumsy and time consuming turning of the focussing wheel. The focusing knob with stepless, attenuated adjustment makes focusing quick, smooth and easy even when wearing thick gloves in bitterly cold weather. With an excellent close focus range, an extremely comfortable handling with perfect focussing in an unbelievably short time is provided. Our Softgrips for your thumbs ideally combine comfort with a firm grip on the binoculars. The lightweight and comfortable feel eliminates pressure points, particularly if you are observing for longer periods. At the same time, they give the binocular excellent balance. The Twist-up Eyecups offer optimum protection against incidental light from the side. They dont just block troublesome reflections, they ensure an extremely bright image. The three positions of the eyecups offer an ergonomic, a classic cylindrical and a position for people wearing glasses. If the eyecups do not fit exactly to your eyes, they can be adjusted as desired by the eyecup fine adjustment mechanism. With this carefully thought-out STEINER strap attachment, your binoculars always remain firmly attached to the strap. The ClicLoc strap attachment system makes removal quick, in one easy movement. Unsurpassed clear vision is offered by the proven STEINER Nano-Protection®. It provides the lenses with a dirt and water resistant surface, protecting them against aggressive environmental effects. Rain, salt-water, snow and moisture are eliminated from your view by this repelling layer. Cleaning is considerably simplified and hard-to-remove dirt becomes a thing of the past. The ultra-thin hydrophobic surface treatment on the objective and ocular lenses is extremely robust and ensures that your binoculars will deliver high-contrast brilliant images across the decades. Fogging up or the formation of condensation inside the binoculars is totally prevented by this high-tech solution. Even temperature variations between -40° and +80°C do not have any adverse effects on the functionality of STEINER nitrogen-filled binoculars. The unique 2-way-valve technology makes inspection, service and maintenance possible even after a number of years. Your binoculars are always ready for action under the most extreme conditions or in the worst weather conditions. Optical quality and precision are maintained for decades. Rough weather, cold hands, strong wind are extreme forces for you and your equipment. With the NBR-Longlife rubber armouring you master every condition. This chemical formula is not only extremely robust, it also gives you a very good grip, in cold, heat, rain, sea water and the suns rays. For a perfect grip, the rubber composite should be soft and non-slip, but on the other hand, the harder it is, the more durable it will be. 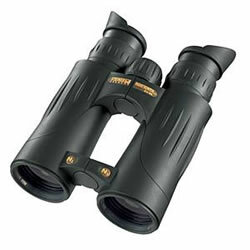 The NBR-Longlife rubber composite is a perfect solution that makes the binocular a pleasure to hold. It is resistant against oil, acid, salt water and even bird droppings. A rubber armouring that is at the same time soft, non-slip and prevents annoying noises. The new NBR-Longlife rubber armouring guarantees an even longer life for your binoculars. Under the outer armouring hides a high-tech, lightweight, high pressure, cast magnesium alloy chassis that delivers unrivalled stability. This material makes the housing even more shockproof and thus much more rugged. At the same time it keeps the weight down and enables compact construction. With this sturdy construction, your binoculars will master the toughest action. The ocular rain protection cover supplied is completely waterproof and prevents contamination by rain or dust. Depending on the model, these are supplied in neoprene or plastic. Objective protection caps and a high quality carrying bag come with the binoculars. We offer a 30 year warranty. If you need a repair, our team of technical experts will check out your binoculars and repair them within the terms of the warranty agreement. Simply send your binoculars to us directly or to your dealer. Objective diameter 44 mm  Magnification 10 x  Weight 854 g  Width 126 mm  Height 188 mm  Depth 65 mm  Exit Pupil 5.5 mm  Luminosity 19  Twilight Factor 21  Field of view / 1000 m 110 m  Focussing System Fast-Close-Focus  Close Focus Range 2 m  High-Performance-Optics High-Definition XP-Optics  Nano-Protection Yes  Water proof Water pressure proof up to 5 m  Nitrogen-Pressure-Filling via 2-way-valve system  Temperature Range -40 to +80°C  Eyecups Twist-up eyecups  Rubber Armouring NBR-Longlife  Carrying Strap Neopren  Strap Attachment ClicLoc  Objective Cover Yes  Bag Yes  Warranty 30 years.